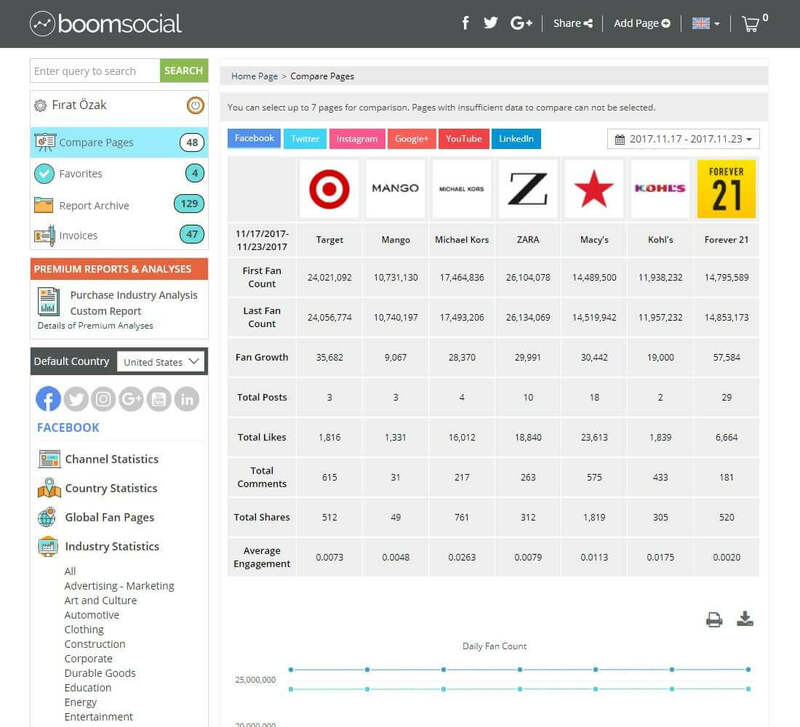 BoomSocial is a social media analytics, analysis and measurement platform, designed to provide free insights for brands. Measure social media performance, measure fan growth, analyze post engagement and develop your content strategy for FREE! BoomSocial is free to use! No more excuses for not monitoring! All social media accounts in BoomSocial are categorized in over 100 industries! Free Social Media Analytics, For Everyone! 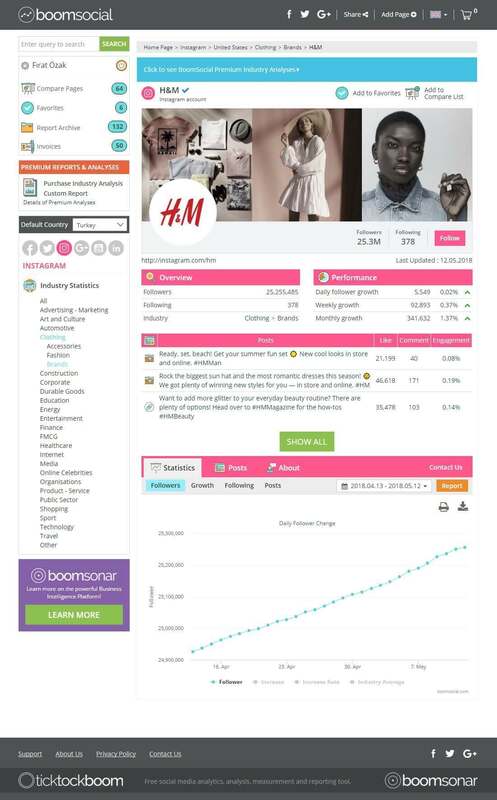 BoomSocial is a social media analytics, analysis and measurement platform, designed to provide free insights for brands, and help them improve their online content strategies. 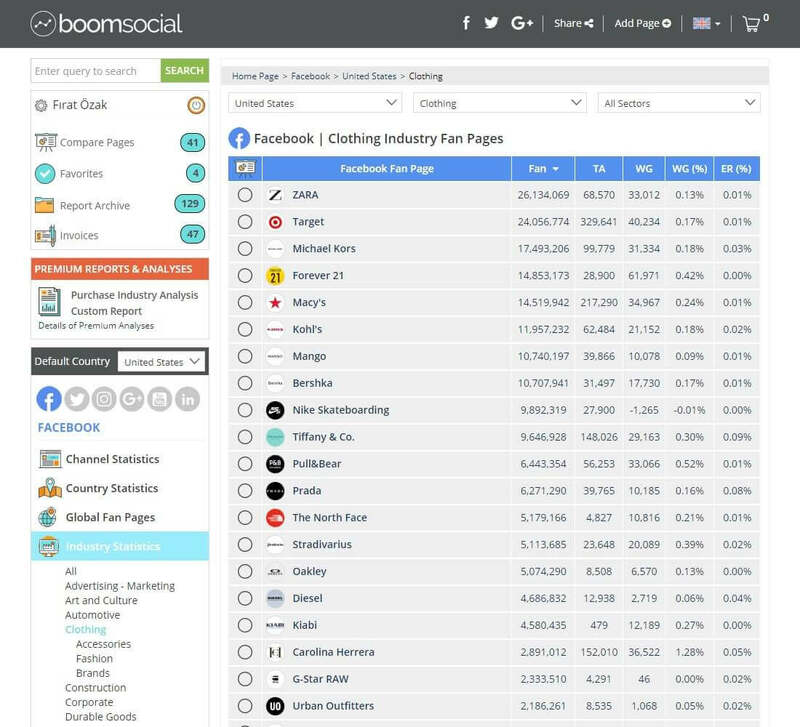 BoomSocial monitors tens of thousands of brand pages, accounts, company pages and channels on Facebook, Twitter, Instagram, Google+, and YouTube. Measure social media performance and fan growth, analyze post engagement, and develop content strategies for free. BoomSocial helps you to analyze your social media performance. 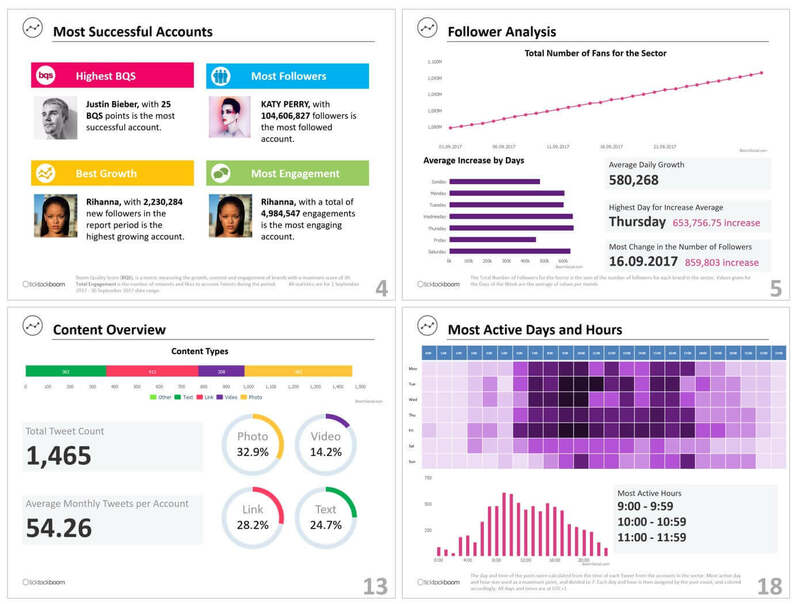 You can track the fan count of your social media channels, measure the daily, weekly and monthly growth, see all of your posts on a single page, monitor the engagement levels, and analyze engagement types. 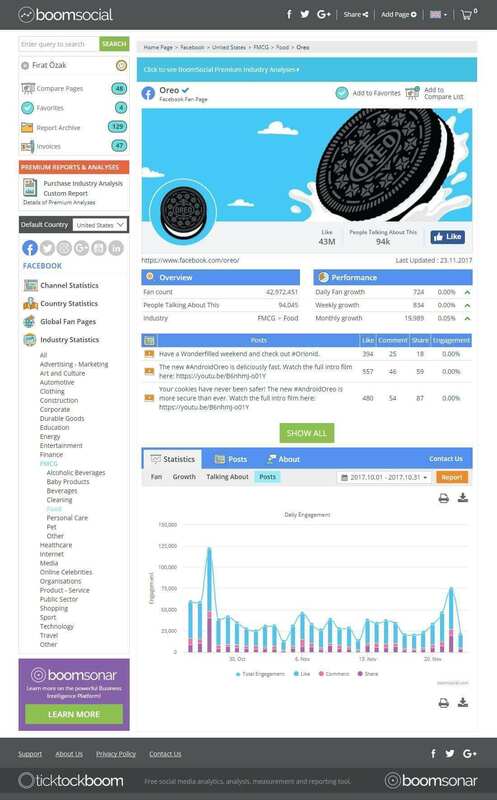 Analyze your page, compare statistics with your competitors and sector, revise your social media content strategy! BoomSocial Premium Reports & Analyses help you to analyze and report the social media performance of your brand, competitors, and industry. The analyses include valuable insights for brands to improve social media content and marketing strategies. Analyses are prepared in Microsoft PowerPoint format, allowing users to import slides to their own presentations. Analyses for industries and brands are available for online purchase for multiple industries and brands in different social media channels. 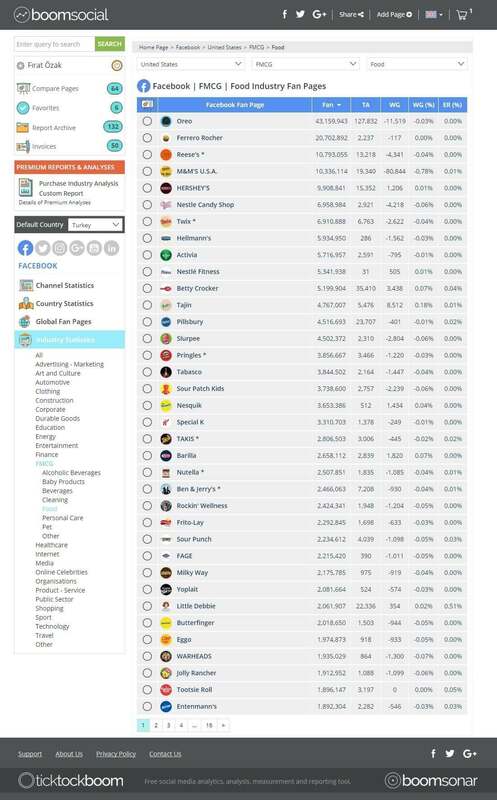 The best free platform to analyze the social media performance of your brands, competitors and industry. 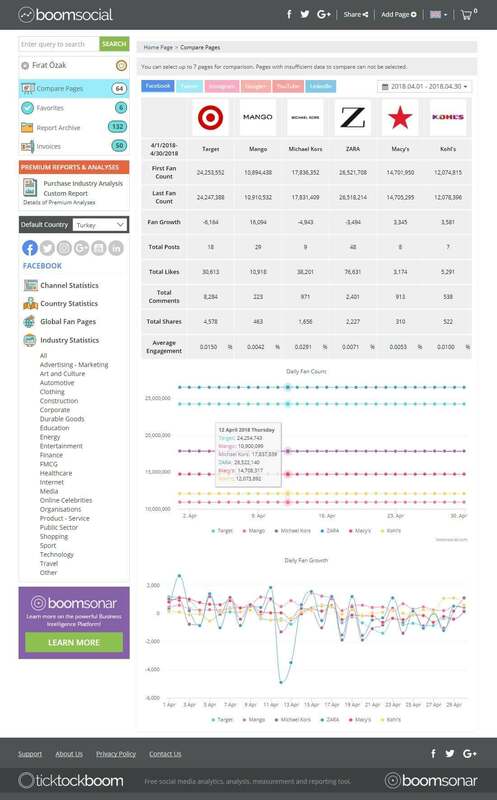 Try the BoomSonar Suite demo, start real-time monitoring, data analysis, and reporting.